74-8; a basketball blowout! 3 sets to 0, with all 3 games going 21-0; a volleyball blowout! 56-0; a blowout on the gridiron! 23-0 on the soccer field; major blowout. 17-0 with a no-pitch outing by the pitcher; a blowout in baseball! Many of us have been there… on the winning side or on the losing side of a major blow out in some kind of sporting event somewhere along the way. It happens. The truth is, it isn’t fun at all whether you are on the team or watching. It’s especially painful to watch our kids experience such a lopsided game. So, how should leagues and coaches handle this kind of sports disaster?  You can place players in positions that they normally don’t get to play; always with the principal of safety as the priority. In volleyball, try a new setter, in baseball, you can put that right fielder at shortstop, in soccer how about that kid that always wanted to play goalie, and in basketball, let the big guy now become the point guard. There are lots of valuable lessons to be learned by playing multiple positions.  You can back off the major pressure. 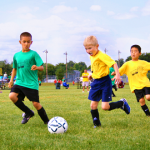 In soccer, back off a little and give them space to make a few passes, or dribble up the field a little without stealing it every time. Obviously in basketball, take the press off.  You can stop the major extra efforts to score every time. In basketball, you can hold back on the fast breaks. You don’t need to zip the ball up the floor and continue to get uncontested easy baskets. This is the time to walk the ball up the floor and set up your half court offense.  You can play the team members who normally don’t get to play that much. This is a great time for these “bench warmers” to get some game time experience.  You can work on that new offense you were just practicing. This is a perfect time to practice those new plays on the football field.  You can work on different skills that need improving. A great time to experiment with some new moves on the basketball court and soccer field. A new serve in tennis that you have wanted to try in a real game atmosphere.  You can take your time. In basketball you can decide to pass the ball 10 times or so before a shot can be taken. In football, go for the short gains rather than the long passes. Let the time tick away and don’t rush. 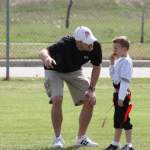  You can try a new defensive scheme that you really haven’t had enough time to practice to make it “game ready” yet. Well, this is now the moment to give it a look.  In all this, make sure that you are playing with “class” and integrity. It’s your attitude that really counts now. This is not the time to be arrogant and conceited. Never act like you are the “big shot”, the one with all the talent and the other team are just a bunch of losers. You can still work hard and have a good time and allow the other team to maintain their dignity.  Don’t “patronize” the other team by playing half speed, or shooting only with your left hand, or making a joke out of the game. That just is taken in as mockery. You want to continue to work hard, but with a hint of moderation and lots of class. These are not fun situations for either side, but the game must go on, and both teams need to finish strong. Both teams need to be understanding and play with integrity, and make the best out of a bad situation.